Today, planet Earth is battling a crisis – the crisis of limited water. Governments and communities across the world are continually seeking solutions to manage water sustainability for the survival of life on the planet. Against this backdrop, it is natural for industries, spanning verticals, to optimise their limited water resources to be able to connect profitability with sustainability. This is where Arvind Envisol comes in with a range of innovative, state-of-the-art wastewater management technologies, products, and services, customised for specific requirements of industries in India and across the world. 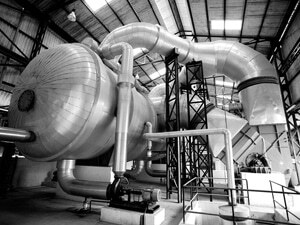 Launched in 2011, as part of Arvind Limited, the 1.3 billion USD global textile conglomerate, Arvind Envisol is a world-class water management company providing end-to-end solutions for water treatment, industrial wastewater treatment, sewage treatment and zero liquid discharge solutions at minimal costs. The company’s patented polymeric film evaporation technology brings you the world’s most economical evaporation technology, minimising your operating costs and it’s zero liquid discharge solutions show how to combine optimum sustainability with your business’s profitability. Today, Arvind Envisol is a company with a growing portfolio of clients who trust us with the responsibility of purifying, replenishing and recycling their water resources. For, at Envisol, we believe that water is indeed the most precious resource we have to safeguard health as well as generate wealth for planet Earth. Recognizing the power of alliances, the company partnered with global innovators in material science to find transformative and breakthrough solutions to some of the most pressing challenges we face. Today, its product line includes eco-friendly solutions that address the environment, sustainability, and safety aspects without diluting the focus of advancing material science to build the society of tomorrow. AMD follows the principles of 5Ps namely, people, particles, processes, partnerships, and products, to power its ambition of making a difference through material innovation.